With the Tesla Model 3 set to be unveiled this Thursday, we expect the hype surrounding the new electric car to reach a fever pitch. But in the meantime, what can the Model 3's likely competitors tell us about the 200-mile, $35,000 sedan? It's established that the Model 3 will be smaller than the Model S but have similar luxury and performance aspirations. That would seem to put it in the same size class as small luxury sedans like the Audi A4 and BMW 3-Series. In fact, Tesla CEO Elon Musk has apparently cited the A4 and 3-Series as competition, according to The Street. Of the pair of German sedans, the A4 is the newest, getting a full redesign for the 2017 model year. 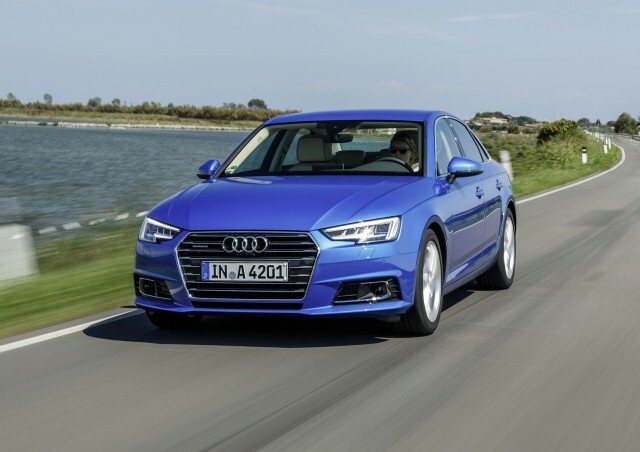 The new A4 is slightly larger than its predecessor, with an overall length of 186.1 inches, wheelbase of 111 inches, and width of 72.5 inches. 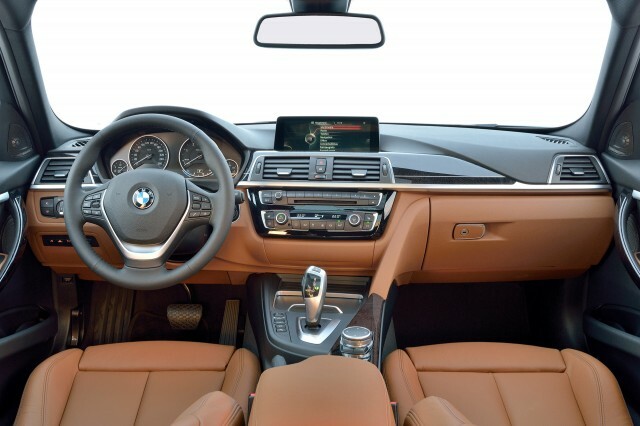 The BMW is slightly smaller in all dimensions, at 182.5 inches long with a 110.6-inch wheelbase, and 71.3 inches wide. If Tesla really is benchmarking the A4 and 3-Series, then the Model 3 should be right in the same ballpark. That would yield a sedan that is small in the North American market, but still a generously-sized car by global standards. The A4 rides on a new platform that makes extensive use of aluminum and high-strength steel, but its base curb weight is still 3,483 pounds to the 3,295 lbs of the 3-Series. Tesla hasn't disclosed the specific composition of the Model 3 body, or whether it will be all-aluminum like the Model S, but for cost reasons it's likely to use at least some steel. But it will likely weigh more than the competition. Even with an aluminum body, Tesla cites the base curb weight of a Model S as 4,647 lbs, significantly more than the sedans it matches most closely in size. An Audi A6 has a base curb weight of 3,803 lbs, while a BMW 5 Series weighs 3,814 lbs. Most of that bulk is due to the heavy battery pack, something that will likely affect the Model 3 as well. Of course, Tesla may compensate for that difference with more power, in which case it will have to exceed these cars' output. 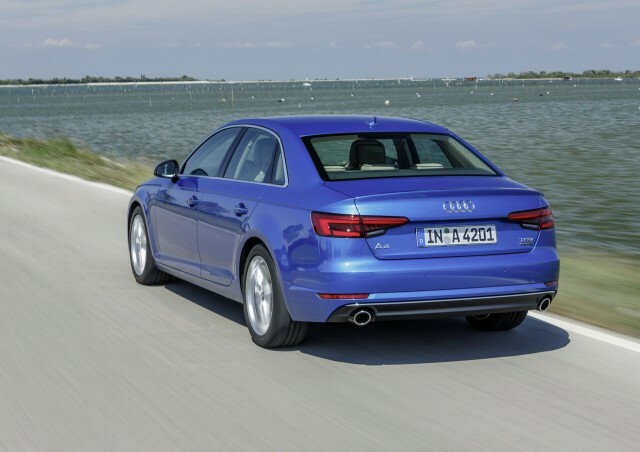 With the mandatory seven-speed automatic transmission, Audi says the A4 will do 0 to 60 mph in 6.1 seconds with the standard front-wheel drive, or 5.7 seconds with optional all-wheel drive. Top speed for both versions is 130 mph. 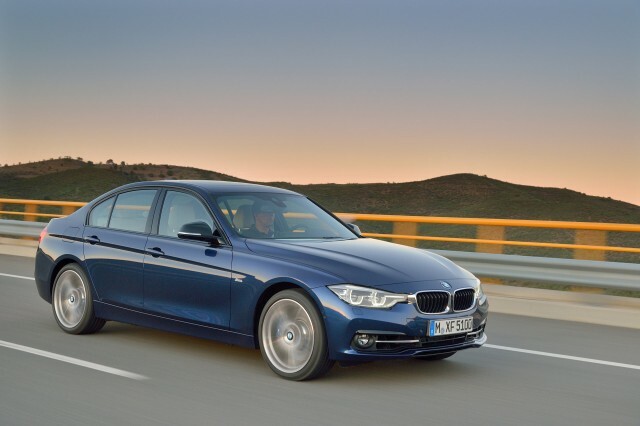 BMW offers two four-cylinder versions of the 3-Series, and also has a 340i sedan with a 3.0-liter turbocharged inline-6, making 320 hp and 330 lb-ft. This version clocks a best 0 to 60 mph time of 4.6 seconds, along with a top speed of 155 mph, according to BMW. It remains to be seen whether the Model 3 can beat that, but there is one area where the new Tesla already looks very competitive. The Model 3's oft-quoted $35,000 base price before incentives puts it just above the $34,145 of a base BMW 320i sedan, and well below the $38,250 of a base A4 (BMW and Audi prices include mandatory destination charges). With the $7,500 Federal tax credit for electric cars, plus any other applicable state and local incentives, the Model 3 will effectively cost much less than either German sedan. That may only be relevant to the very first Model 3 buyers, though. Model 3 production is scheduled to start in 2017. Tesla has said current customers will get priority, and it's expected that employees will too. That means civilian Model 3 deliveries may not start until closer to 2018, at which point Tesla may be nearing sales of the 200,000 cars that will trigger a phase-out of the Federal credit.